Six years ago I switched from Vonage to Ooma home phone service in an attempt to save money on our monthly phone bills. In February 2012, I determined that I’d had enough of the $35.75/month (after all the taxes and fees) I was paying with Vonage. At the time I’d had a couple of friends that had changed VOIP providers to Ooma and all had raving reviews of their services. Especially when it comes to how much they were saving per month! 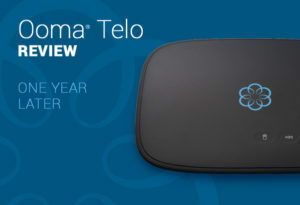 After hearing their comments I took the plunge and bought the $199 Ooma Telo phone adapter from Amazon. Pretty hefty upfront cost for a phone device, but I knew it would take me just 6.69 months to break even compared to my existing home service. So now that it’s one year later I’ve watched the savings build up month over month. Here are a few interesting financial stats on how the Ooma phone service has helped our family save money. Ultra Cheap – biggest pro would have to be how much we are saving per month compared to our previous provider. Sound Quality – doesn’t even sound like you are talking on a VOIP line and we even have DSL (with speeds of 8 Mbps down/756 Kbps up). We have one central docking station which we connect up to the Ooma device, and services our whole house. Advice – try and place your router, ooma device, and phone dock on the main floor of your home. This will help improve sound quality too. 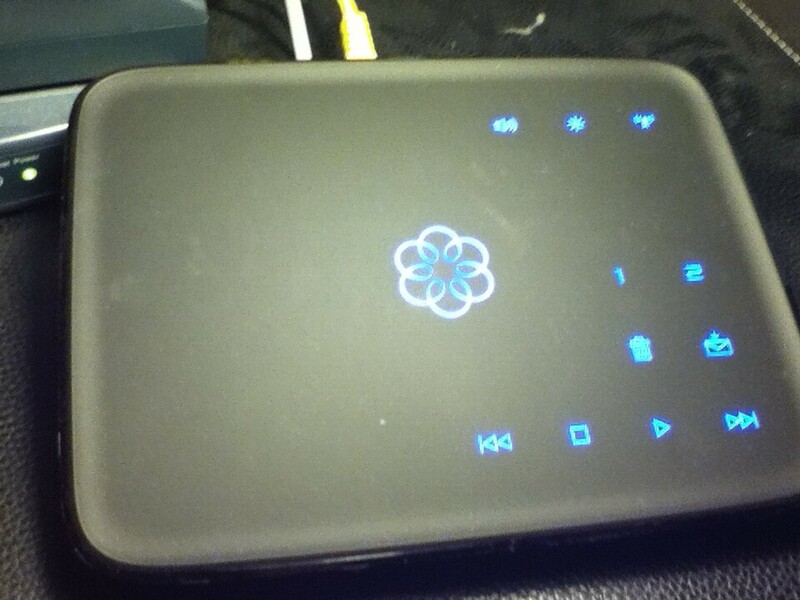 Ease of Use – it took a total of 15 minutes to connect the Ooma phone device up to our home network. Simple instructions and automatic connectivity to your ISP. Easy Process in Porting Over My Old Number – it took only about 5 days for my phone number to be ported over from Vonage to Ooma. In between I just forwarded my vonage to my ooma phone number. Important tip – once you are notified that your number has been ported over then make sure you reboot your Ooma device to pick up your ported number. No E-mail Delivery of Voice Messages – one of the nice features we had with Vonage (by default) was the .MP3 delivery of our voicemails. In addition, they provided a textual e-mail of your voicemail, which was nice. With Ooma you need to buy the premium service in order to get this feature, which is only $10/month extra. Here’s a great video on how to setup and install your Ooma Telo device. 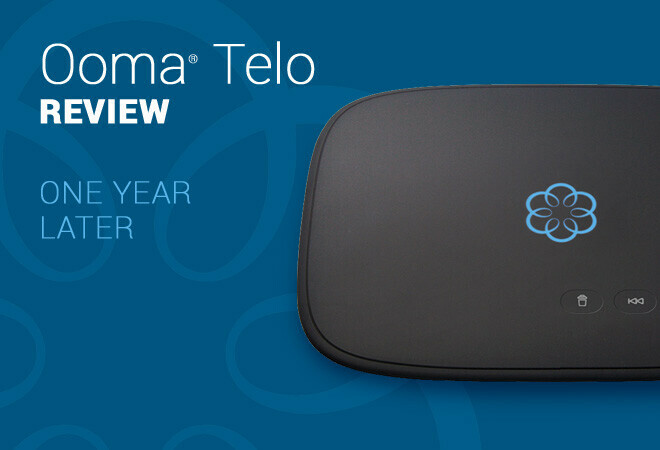 Overall, since it’s been one year since we bought our Ooma phone service I would say I’m extremely satisified. I’d recommend it to anyone! What type of home phone service do you use? How much are you paying per month? Have you looked at using Ooma? NetTALK Duo Wifi Review – A Good Option For Cheap Phone Service? 4/23/2019 : I too gave up my landline for VoiP but I went with “Google Voice” (phone service) which is completely FREE! No bills ever. I bought the Obi 202 device on Amazon for around $70 (a one-time purchase), which is the only way to make Google Voice work. I love it! I am not technical but I can follow instructions, if they are clear. I hooked it up all by myself, I was shocked. Crystal clear calls, incoming and outgoing. You can have incoming calls also ring on your cell phone, your dog’s phone, or your brother’s phone. The voicemail works perfectly and on my dashboard I can either listen to messages or read the transcript of the voicemail message. You get a free Google Voice telephone number or you can port your number to Google Voice. The Obi Hai 202 allows two phone lines (I was going to use the other line for FAX). The only downside is if the electricity goes out, so does your router/modem. I use my cell phone as my primary phone but the Google Voice uses my old house phone (a base phone with 3 cordless phones) and is fantastic. By-the-way, I have my cell phone on a Tello service plan for $14.50 / month for unlimited talk and text plus 1 GB data. Saving a lot of $ now. I highly recommend Google Voice for saving money. My ISP is Frontier (Los Angeles area) and charges me almost $40 / month for internet only. Thanks for sharing your experience, Julie! We need to do a review / take a look at Google Voice. The only “pro” I can see with Ooma is the cost, otherwise there has been no improvement or addition of features in the 4 years I’ve had the service. Simple things like outgoing voice mail greetings are horrible. The audio quality is substandard. Then there’s the “blocking” features. On a regular basis callers that I’m expecting are blocked. The strange thing is that it changes over time. Numbers that weren’t blocked last week are now blocked. And who knows what other numbers are blocked? No one, it would be helpful to know what numbers were blocked and why. So when you start adding up all of the deficiencies of Ooma it starts to make sense to look elsewhere even if the cost is higher. Thanks for sharing your experience with Ooma, J. Have ooma voip for over a year now what’s not to love 4.15 a monthly had Vonage it was great but cost 28 dollars a month ooma is as good and cost a lot less . Agreed Fredrick! Vonage costed to much compared to ooma and the quality is the same if not better! yes! I have used Ooma for YEARS. Dumped my phone company….ported my number over….and pay only $4.35 monthly! As long as you have internet service it works great! VERY RARELY does it disconnect, but it has gotten better. GO OOMA!!!! Ya, Danielle, I totally agree! It is great to dump your traditional phone provider and only pay $4 for unlimited US calling! Woohoo!!! My mom and I were evaluating her phone options at Thanksgiving. We got the OOMa at best buy for around $125. The call quality is awesome! She loves it and I would HIGHLY reccomend it. (Neither she nor I talk for longer than 60 min usually so we’ve never experienced the CON listed above).